Originally published in Spanish. Aurora Nacarino-Brabo. Letras Libres. The most burgeoning political event of the last years is populism. This is how the rise of anti-establishment parties has been described —from Syriza in Greece to Trump in United States to plebiscitary accidents like Brexit and the prominence of candidates like Grillo in Italy, Le Pen in France and Wilders in Netherlands. In Spain, the rise of Podemos —a party self-described as “national-populist” that draws from Latin American ideology theorists with Laclau as main guide. However, Pablo Iglesias’ is not the most successful populist movement in our country. There is a populism which predates the current surge of Western disruptive leaders and it is reaching its peak right now, when the international political scene looks more advantageous to their claims. I am referring to the Catalonian nationalism. While populism is a political style that pursues the construction and appropriation of the collective subject called “people” which is defined by moral features in opposition to a corrupting extractive elite, nationalism, as practised —consistently and almost uninterrupted since the Spanish Transition— at the Catalonian institutions is closely related to populism. It has been preached, during decades of national engineering, the existence of a virtuous Catalonian people defined by particular ethics of work, a natural honesty, a democratic will and a modern attitude that had little to do with the rest of the Spanish state, which is marked by the laziness attributed to the South, with the parochial gestures of the deepest Castile, with the corruption castled in the capital city and a long authoritarian tradition that extends from the absolute monarchy to Franco’s regime and results in a constitutional democracy as its heir —and therefore tainted from birth. This process, which involves the colonization of the entire public sphere, from media to schools, is called “construction of people” by populism theorists. 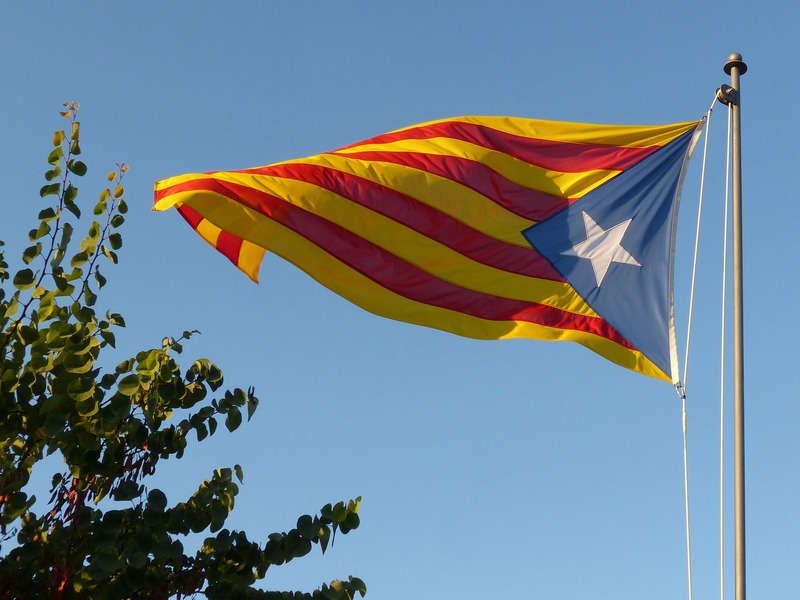 Catalonian nationalism constitutes an old fashioned ideological current based on linguistic and cultural features that became valid with the modernity. And yet it has been able to adapt itself to the post-modern world and benefit itself from the populist movement’s values. The economic crisis proved to be a great opportunity to recruit those not seduced yet by the ethnic-symbolist claim. One could estimate that the fet diferencial, the “distinctive fact” of the Catalonian language and history, was not enough to put independence into motion, but still find good reasons to break up ties with a state were a new corruption scandal broke up everyday and had unprecedented unemployment rates. So this is how the anti-elite ingredient was added to the nationalist cocktail, yielding record levels of support. Clumsy but effective slogans were made —not so different from those we heard later from Brexit promoters— about the economic strength Catalonia would gain after the independence as the fiscal plundering perpetrated by Madrid ends. The overreaction to Madrid’s elites was also an excellent manoeuvre that allowed the Catalonian administration not being hold accountable, and setting the secessionist cause in the middle of the Catalonian political life was an easy yet effective way to stop talking about everything else: employment, business networks, health services, education outcomes, infrastructures and local corruption. This operation has had remarkable results and today, in Catalonia, there is no public debate beyond the pro-independence cause. The identity conquest of all the public spaces has allowed the culmination of the famous transversality attributed to populist movements. It is the only way to understand that parties ideologically so different as the former Convergència, ERC and CUP could reach a government agreement. A bourgeois conservative party, a republican leftist party and an assemblyist anti-capitalist candidacy only could get along if there is only one subject to be discussed: Catalonia’s independence. The reverse of this consensus is that it is depriving the citizens of a serious political discussion about their leaders’ governance, and the public conversation is impoverishing, increasingly devoid of nuances and spaces for pluralism. Once neglected the responsibility that oblige governments to serve the citizens, came the demolition of the remaining political pillar of liberal democracies: the rule of law. Secessionist parties have declared their emancipation from the law, by which they don’t seem to feel very constrained. They justify themselves appealing to democracy —the classic operation employed by populism to cause a democratic overflow and take the opportunity to impose the plebiscitary rationale. Or, as Íñigo Errejón and Chantal Mouffe call it, the “hegemony and radicalization of politics”. Representative democracy has been thoroughly devaluated in favour of direct democracy, which now seeks to legitimize the “process”. This was most evident during the demonstration following the terrorist attack in Barcelona, when both security forces and demonstrators were at the head of the demonstration, while elected authorities were displaced. This is how a historic nationalism with nineteenth century undertones, devoted to the ancestral nation, its own language, the distinct culture, the narcissist particularism and mythologized history managed to renew itself by means of populist strategies and narratives to gain traction and competitiveness. This anchor to the present might be its greater strength, but also it is a reminder of its temporary nature. The time is running and constitutionalists must start to play.